All shipping are done through Australia POST with the cost being calculated at checkout. Shipping costs may vary depending on items weight and your choice between standard and express delivery. Typically our products can be refunded within 7 days and exchanged within 14 days of purchase respectively. For more information, please read our full refund policy here. Below you will find a collection of t-shirts, singlets, tank-tops, hats and accessories for ladies, men and kids. 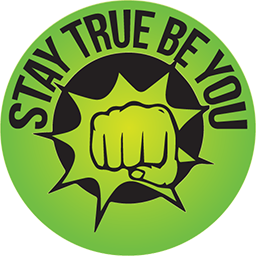 Thank you for supporting our Stay True Be You message. Remember If You Be True to Who You Are and Believe in Yourself...Anything is Possible!